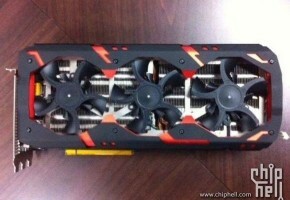 BueweenPC has some exclusive, confidential information about the upcoming Radeon R9 295X2. According to their story, AMD has showcased the reference model of R9 295X2 behind the closed doors at CeBIT. Only few people had the opportunity to see it. 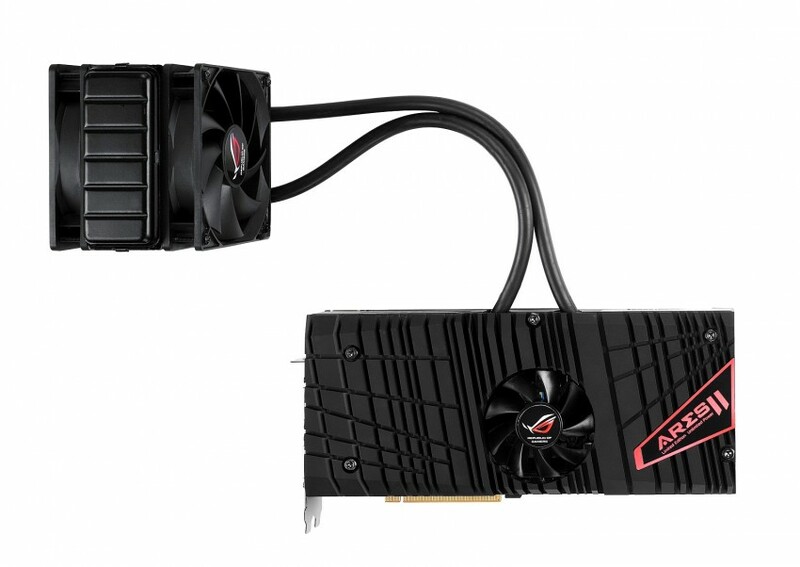 The site claims that the official name is Radeon R9 295X2, not R9 290X2 as we previously believed. AMD already has few entry-level cards with a similar 2×5 naming nomenclature, so it is not very surprising. Speaking of 295, the codename does remind us about GeForce GTX 295, which was also a dual-GPU card. Official slides, which were shown to the editor of Bouweenpc supposedly confirm the clock speed of R9 295X2. Of course this also brings a lot of speculation whether R9 295X2 is even a full fledged Hawaii-based card or, for instance, it features 2560 SP versions. 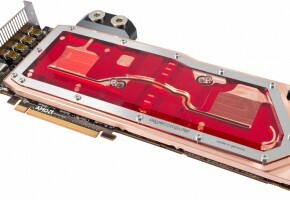 AMD Radeon R9 295X2 would arrive with a hybrid cooling solution. 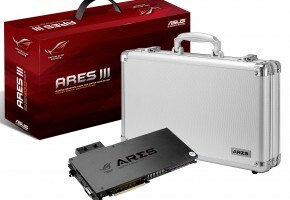 The cooler would be equipped with an external 120mm fan, something similar to ASUS ARES II cooler (as shown below). 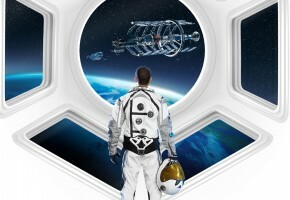 Apparently two AMD partners confirmed that the sample shown at CeBIT was indeed a reference model. 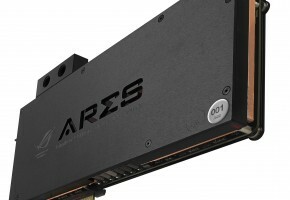 This is a very interesting move from AMD, and probably one of the best ideas for dual-card so far. We all know that Hawaii-based cards do need a proper cooler, unless the owner is deaf. What surprised me, is that reference cooler (which could’ve been just a prototype) wasn’t even red, instead it was covered in black and gray, but I’m quite sure AMD will paint it into more bloody colors. Well, I know, who would’ve expected! The rumor has it that NVIDIA will push forward GTX 790 launch, so we should see both cards in a very short timeframe. AIB partners were officially briefed about the new card this week, so it’s probably a matter of few weeks (if not sooner) till we see first cards on the market. 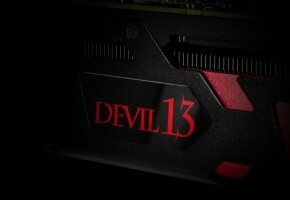 PowerColor teasing Radeon R9 295X2 Devil13?